A welcome return to this fabulous authentic Genesis Tribute Band. Mama perform An Evening of Genesis Music, a tribute to the music of British group Genesis. The band is based in the UK and currently plays 16 shows a year at venues across the country. 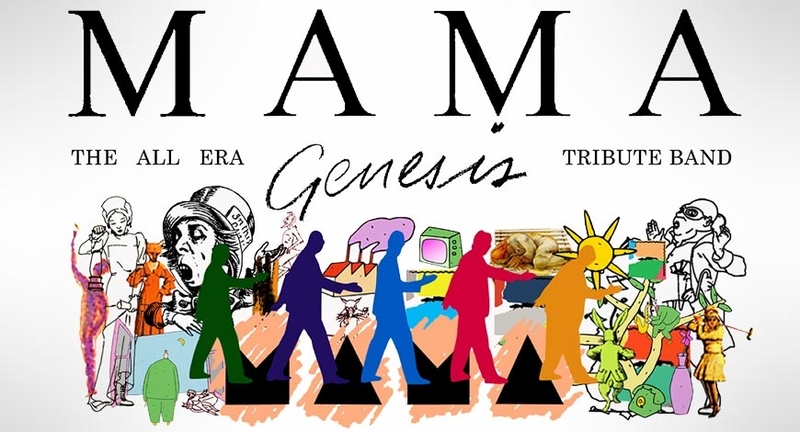 The band perform pieces from every era of Genesis from the early Peter Gabriel Genesis albums, right through the Phil Collins era in the 70’s and 80’s and up to the final Genesis studio album, We Can’t Dance.